Description:Used 2016 Mitsubishi Outlander SE for sale - $14,900.00 with 36,809 miles. 2016 Mitsubishi Outlander SE Introducing the 2016 Mitsubishi Outlander! Feature-packed and decked out! With less than 40,000 miles on the odometer, this 4 door sport utility vehicle prioritizes comfort, safety and convenience. Mitsubishi prioritized practicality, efficiency, and style by including: a rear window wiper, skid plates, and much more. Smooth gearshifts are achieved thanks to the efficient 4 cylinder engine, and for added security, dynamic Stability Control supplements the drivetrain. Four wheel drive allows you to go places you've only imagined. Our sales reps are extremely helpful knowledgeable. They'll work with you to find the right vehicle at a price you can afford. Please don't hesitate to give us a call. RZ Motors Inc is founded on trust, integrity, and respect. We are proud to offer these values in our sale and business practices so our customers keep coming back. The vehicles on our lot have the best prices and quality in the area so come by and see us today! Description:Used 2014 Ford Fusion Titanium for sale - $11,900.00 with 97,604 miles. 2014 Ford Fusion Titanium Step into the 2014 Ford Fusion! It delivers plenty of power and excellent gas mileage! Turbocharger technology provides forced air induction, enhancing performance while preserving fuel economy. This 4 door, 5 passenger sedan has not yet reached the hundred thousand mile mark! Comfort and convenience were prioritized within, evidenced by amenities such as: speed sensitive wipers, fully automatic headlights, and seat memory. It features an automatic transmission, front-wheel drive, and a 2 liter 4 cylinder engine. Our aim is to provide our customers with the best prices and service at all times. Please don't hesitate to give us a call. RZ Motors Inc is founded on trust, integrity, and respect. We are proud to offer these values in our sale and business practices so our customers keep coming back. The vehicles on our lot have the best prices and quality in the area so come by and see us today! Description:Used 2014 Ram Ram Pickup 2500 Laramie for sale - $39,900.00 with 72,694 miles. 2014 Ram Ram Pickup 2500 Laramie Take command of the road in the 2014 Ram 2500! Some vehicles just speak for themselves! It includes leather upholstery, delay-off headlights, power windows, and power front seats. Smooth gearshifts are achieved thanks to the refined 6 cylinder engine, and for added security, dynamic Stability Control supplements the drivetrain. Four wheel drive allows you to go places you've only imagined. Come down to our dealership, you'll get a great vehicle at a great price, with the experience and dedication of our whole team behind you. RZ Motors Inc is founded on trust, integrity, and respect. We are proud to offer these values in our sale and business practices so our customers keep coming back. The vehicles on our lot have the best prices and quality in the area so come by and see us today! Description:Used 2018 Ford Flex limited for sale - $29,900.00 with 29,361 miles. 2018 Ford Flex limited Dare to compare! Check out this great value! It delivers style and power in a single package! Turbocharger technology provides forced air induction, enhancing performance while preserving fuel economy. With less than 30,000 miles on the odometer, this 4 door sport utility vehicle prioritizes comfort, safety and convenience. Ford prioritized practicality, efficiency, and style by including: front and rear reading lights, blind spot sensor, and air conditioning. Under the hood you'll find a 6 cylinder engine with more than 300 horsepower, and all wheel drive keeps this model firmly attached to the road surface. Well tuned suspension and stability control deliver a spirited, yet composed, ride and drive We pride ourselves in the quality that we offer on all of our vehicles. Stop by our dealership or give us a call for more information. RZ Motors Inc is founded on trust, integrity, and respect. We are proud to offer these values in our sale and business practices so our customers keep coming back. The vehicles on our lot have the best prices and quality in the area so come by and see us today! Description:Used 2018 Chevrolet Suburban Premier 1500 for sale - $54,900.00 with 29,328 miles. 2018 Chevrolet Suburban Premier 1500 This vehicle won't be on the lot long! It delivers style and power in a single package! With less than 30,000 miles on the odometer, this 4 door sport utility vehicle prioritizes comfort, safety and convenience. All of the premium features expected of a Chevrolet are offered, including: 1-touch window functionality, heated steering wheel, and remote keyless entry. Under the hood you'll find an 8 cylinder engine with more than 350 horsepower, and for added security, dynamic Stability Control supplements the drivetrain. Four wheel drive allows you to go places you've only imagined. We pride ourselves in the quality that we offer on all of our vehicles. Stop by our dealership or give us a call for more information. RZ Motors Inc is founded on trust, integrity, and respect. We are proud to offer these values in our sale and business practices so our customers keep coming back. The vehicles on our lot have the best prices and quality in the area so come by and see us today! Description:Used 2011 Chevrolet Traverse LT for sale - $9,900.00 with 123,824 miles. 2011 Chevrolet Traverse LT Looking for an amazing value? Discerning drivers will appreciate the 2011 Chevrolet Traverse! You'll appreciate its safety and technology features! Chevrolet prioritized practicality, efficiency, and style by including: turn signal indicator mirrors, a power liftgate, and cruise control. A 3.6 liter V-6 engine pairs with a sophisticated 6 speed automatic transmission, and for added security, dynamic Stability Control supplements the drivetrain. All wheel drive maintains traction at all four corners. Our sales staff will help you find the vehicle that you've been searching for. We'd be happy to answer any questions that you may have. Stop in and take a test drive! RZ Motors Inc is founded on trust, integrity, and respect. We are proud to offer these values in our sale and business practices so our customers keep coming back. The vehicles on our lot have the best prices and quality in the area so come by and see us today! Description:Used 1999 Chevrolet Blazer LT for sale - $2,900.00 with 235,066 miles. 1999 Chevrolet Blazer LT The 1999 Chevrolet Blazer! This is a superb vehicle at an affordable price! Chevrolet prioritized practicality, efficiency, and style by including: air conditioning, fully automatic headlights, and a split folding rear seat. Smooth gearshifts are achieved thanks to the refined 6 cylinder engine, providing a spirited, yet composed ride and drive. Four wheel drive allows you to go places you've only imagined. You will have a pleasant shopping experience that is fun, informative, and never high pressured. Please don't hesitate to give us a call. RZ Motors Inc is founded on trust, integrity, and respect. We are proud to offer these values in our sale and business practices so our customers keep coming back. The vehicles on our lot have the best prices and quality in the area so come by and see us today! Description:Used 2005 Chevrolet Silverado 3500 work truck for sale - $17,900.00 with 139,433 miles. 2005 Chevrolet Silverado 3500 work truck Your search is over! Step into the 2005 Chevrolet Silverado 3500! This vehicle stands out from the competition! Top features include a split folding rear seat, automatic temperature control, fully automatic headlights, and much more. Smooth gearshifts are achieved thanks to the powerful 8 cylinder engine, providing a spirited, yet composed ride and drive. Four wheel drive allows you to go places you've only imagined. We pride ourselves on providing excellent customer service. Please don't hesitate to give us a call. RZ Motors Inc is founded on trust, integrity, and respect. We are proud to offer these values in our sale and business practices so our customers keep coming back. The vehicles on our lot have the best prices and quality in the area so come by and see us today! Description:Used 2000 Ford F-250 Super Duty XLT for sale - $9,900.00 with 275,743 miles. 2000 Ford F-250 Super Duty XLT Here's a great deal on a 2000 Ford F-250! Everything you need in a truck, at a price you wouldn't expect! All of the premium features expected of a Ford are offered, including: a tachometer, a rear step bumper, and more. It features a standard transmission, 4-wheel drive, and a powerful 8 cylinder engine. Our knowledgeable sales staff is available to answer any questions that you might have. They'll work with you to find the right vehicle at a price you can afford. Stop in and take a test drive! RZ Motors Inc is founded on trust, integrity, and respect. We are proud to offer these values in our sale and business practices so our customers keep coming back. The vehicles on our lot have the best prices and quality in the area so come by and see us today! Description:Used 2015 Ford F-150 Platinum for sale - $34,900.00 with 52,290 miles. 2015 Ford F-150 Platinum Take command of the road in the 2015 Ford F-150! For drivers seeking the ultimate in off-road versatility, this vehicle readily steps up to the challenge! All of the premium features expected of a Ford are offered, including: a rear step bumper, telescoping steering wheel, and a split folding rear seat. It features an automatic transmission, 4-wheel drive, and a 3.5 liter 6 cylinder engine. We know that you have high expectations, and we enjoy the challenge of meeting and exceeding them! Stop by our dealership or give us a call for more information. RZ Motors Inc is founded on trust, integrity, and respect. We are proud to offer these values in our sale and business practices so our customers keep coming back. The vehicles on our lot have the best prices and quality in the area so come by and see us today! Description:Used 2015 Ford F-150 Platinum for sale - Call with 48,082 miles. 2015 Ford F-150 Platinum Take command of the road in the 2015 Ford F-150! You'll appreciate its safety and technology features! With fewer than 50,000 miles on the odometer, this pre-owned model still has plenty of miles remaining as reliable transportation. Ford prioritized practicality, efficiency, and style by including: an outside temperature display, telescoping steering wheel, and more. A 3.5 liter V-6 engine pairs with a sophisticated 6 speed automatic transmission, and for added security, dynamic Stability Control supplements the drivetrain. Four wheel drive allows you to go places you've only imagined. Our team is professional, and we offer a no-pressure environment. We'd be happy to answer any questions that you may have. We are here to help you. RZ Motors Inc is founded on trust, integrity, and respect. We are proud to offer these values in our sale and business practices so our customers keep coming back. The vehicles on our lot have the best prices and quality in the area so come by and see us today! Description:Used 2012 Ford F-350 Super Duty XL for sale - $29,900.00 with 69,294 miles. 2012 Ford F-350 Super Duty XL Here it is! Hurry and take advantage now! Come test drive this 2012 Ford F-350! It comes equipped with all the standard amenities for your driving enjoyment. Top features include a split folding rear seat, a rear step bumper, a trailer hitch, and air conditioning. It features four-wheel drive capabilities, a durable automatic transmission, and a powerful 8 cylinder engine. Our experienced sales staff is eager to share its knowledge and enthusiasm with you. They'll work with you to find the right vehicle at a price you can afford. We are here to help you. RZ Motors Inc is founded on trust, integrity, and respect. We are proud to offer these values in our sale and business practices so our customers keep coming back. The vehicles on our lot have the best prices and quality in the area so come by and see us today! Description:Used 2018 Ford Escape Titanium for sale - $25,500.00 with 17,603 miles. 2018 Ford Escape Titanium You won't want to miss this excellent value! Performance, ride, and head-turning good looks! The engine breathes better thanks to a turbocharger, improving both performance and economy. With less than 20,000 miles on the odometer, this 4 door sport utility vehicle prioritizes comfort, safety and convenience. Ford infused the interior with top shelf amenities, such as: high intensity discharge headlights, heated steering wheel, and a blind spot monitoring system. Under the hood you'll find a 4 cylinder engine with more than 200 horsepower, and for added security, dynamic Stability Control supplements the drivetrain. Four wheel drive allows you to go places you've only imagined. We have the vehicle you've been searching for at a price you can afford. Stop by our dealership or give us a call for more information. RZ Motors Inc is founded on trust, integrity, and respect. We are proud to offer these values in our sale and business practices so our customers keep coming back. The vehicles on our lot have the best prices and quality in the area so come by and see us today! Description:Used 2018 Ford Explorer XLT for sale - $32,900.00 with 18,654 miles. 2018 Ford Explorer XLT Check out this 2018! A great vehicle and a great value! With less than 20,000 miles on the odometer, this 4 door sport utility vehicle prioritizes comfort, safety and convenience. The following features are included: a leather steering wheel, a power seat, and much more. A 3.5 liter V-6 engine pairs with a sophisticated 6 speed automatic transmission, and for added security, dynamic Stability Control supplements the drivetrain. Four wheel drive allows you to go places you've only imagined. We have a skilled and knowledgeable sales staff with many years of experience satisfying our customers needs. They'll work with you to find the right vehicle at a price you can afford. We are here to help you. RZ Motors Inc is founded on trust, integrity, and respect. We are proud to offer these values in our sale and business practices so our customers keep coming back. The vehicles on our lot have the best prices and quality in the area so come by and see us today! Description:Used 2018 Ford Explorer XLT for sale - $32,900.00 with 20,794 miles. 2018 Ford Explorer XLT Looking for a used car at an affordable price? Check out this great low mileage vehicle! The design of this vehicle clearly emphasizes dynamic style and agility! Ford prioritized fit and finish as evidenced by: a rear window wiper, a power seat, and cruise control. It features an automatic transmission, 4-wheel drive, and a 3.5 liter 6 cylinder engine. Our sales staff will help you find the vehicle that you've been searching for. We'd be happy to answer any questions that you may have. Stop in and take a test drive! RZ Motors Inc is founded on trust, integrity, and respect. We are proud to offer these values in our sale and business practices so our customers keep coming back. The vehicles on our lot have the best prices and quality in the area so come by and see us today! Description:Used 2018 Ford Focus Titanium for sale - $16,900.00 with 25,725 miles. 2018 Ford Focus Titanium You won't want to miss this excellent value! Both practical and stylish! With just over 25,000 miles on the odometer, this hatchback hits the mark with consumers demanding economical versatility! All of the following features are included: a trip computer, heated steering wheel, and 1-touch window functionality. Smooth gearshifts are achieved thanks to the 2 liter 4 cylinder engine, and for added security, dynamic Stability Control supplements the drivetrain. Our experienced sales staff is eager to share its knowledge and enthusiasm with you. We'd be happy to answer any questions that you may have. We are here to help you. RZ Motors Inc is founded on trust, integrity, and respect. We are proud to offer these values in our sale and business practices so our customers keep coming back. The vehicles on our lot have the best prices and quality in the area so come by and see us today! Description:Used 2018 Jeep Grand Cherokee Trailhawk for sale - $37,900.00 with 14,354 miles. 2018 Jeep Grand Cherokee Trailhawk This Jeep won't be on the lot long! This SUV represents today's zero-compromise sport utility vehicle. Climb aboard and take charge of the terrain below! It includes leather upholstery, skid plates, a trailer hitch, and voice activated navigation. It features an automatic transmission, 4-wheel drive, and a refined 6 cylinder engine. We pride ourselves on providing excellent customer service. Stop by our dealership or give us a call for more information. RZ Motors Inc is founded on trust, integrity, and respect. We are proud to offer these values in our sale and business practices so our customers keep coming back. The vehicles on our lot have the best prices and quality in the area so come by and see us today! Description:Used 2007 Chrysler Aspen limited for sale - $4,900.00 with 196,149 miles. 2007 Chrysler Aspen limited Take command of the road in the 2007 Chrysler Aspen! It offers the latest in technological innovation and style. The following features are included: power trunk closing assist, front and rear air conditioning, and 1-touch window functionality. Smooth gearshifts are achieved thanks to the powerful 8 cylinder engine, and for added security, dynamic Stability Control supplements the drivetrain. Four wheel drive allows you to go places you've only imagined. Our knowledgeable sales staff is available to answer any questions that you might have. They'll work with you to find the right vehicle at a price you can afford. Call now to schedule a test drive. RZ Motors Inc is founded on trust, integrity, and respect. We are proud to offer these values in our sale and business practices so our customers keep coming back. The vehicles on our lot have the best prices and quality in the area so come by and see us today! Description:Used 2010 Dodge Dakota BIg horn for sale - $15,999.00 with 25,723 miles. 2010 Dodge Dakota BIg horn Clean Carfax Truck with Power Options! Description:Used 2019 Ford Edge Titanium for sale - $36,900.00 with 270 miles. 2019 Ford Edge Titanium This vehicle won't be on the lot long! Some vehicles just speak for themselves! Turbocharger technology provides forced air induction, enhancing performance while preserving fuel economy. Top features include leather upholstery, a power seat, a roof rack, and seat memory. Smooth gearshifts are achieved thanks to the 2 liter 4 cylinder engine, and for added security, dynamic Stability Control supplements the drivetrain. Our knowledgeable sales staff is available to answer any questions that you might have. They'll work with you to find the right vehicle at a price you can afford. Come on in and take a test drive! RZ Motors Inc is founded on trust, integrity, and respect. We are proud to offer these values in our sale and business practices so our customers keep coming back. The vehicles on our lot have the best prices and quality in the area so come by and see us today! Description:Used 2009 Ford F-150 King Ranch for sale - $11,900.00 with 174,034 miles. 2009 Ford F-150 King Ranch Climb inside the 2009 Ford F-150 SuperCrew! A great vehicle and a great value! The following features are included: a rear step bumper, an overhead console, and air conditioning. It features four-wheel drive capabilities, a durable automatic transmission, and a powerful 8 cylinder engine. We pride ourselves in the quality that we offer on all of our vehicles. Please don't hesitate to give us a call. RZ Motors Inc is founded on trust, integrity, and respect. We are proud to offer these values in our sale and business practices so our customers keep coming back. The vehicles on our lot have the best prices and quality in the area so come by and see us today! Description:Used 2008 Jeep Wrangler Rubicon for sale - $14,900.00 with 103,506 miles. 2008 Jeep Wrangler Rubicon Take command of the road in the 2008 Jeep Wrangler! Very clean and very well priced! All of the premium features expected of a Jeep are offered, including: front bucket seats, skid plates, and more. Under the hood you'll find a 6 cylinder engine with more than 200 horsepower, and for added security, dynamic Stability Control supplements the drivetrain. Four wheel drive allows you to go places you've only imagined. We know that you have high expectations, and we enjoy the challenge of meeting and exceeding them! Stop by our dealership or give us a call for more information. RZ Motors Inc is founded on trust, integrity, and respect. We are proud to offer these values in our sale and business practices so our customers keep coming back. The vehicles on our lot have the best prices and quality in the area so come by and see us today! Description:Used 2018 Jeep Compass limited for sale - $24,900.00 with 18,688 miles. 2018 Jeep Compass limited You won't want to miss this excellent value! It prioritizes style, powertrain versatility and safety in an exceptional SUV package! With less than 20,000 miles on the odometer, this 4 door sport utility vehicle prioritizes comfort, safety and convenience. Top features include leather upholstery, an automatic dimming rear-view mirror, a roof rack, and more. It features four-wheel drive capabilities, a durable automatic transmission, and a 2.4 liter 4 cylinder engine. We pride ourselves in consistently exceeding our customer's expectations. Please don't hesitate to give us a call. RZ Motors Inc is founded on trust, integrity, and respect. We are proud to offer these values in our sale and business practices so our customers keep coming back. The vehicles on our lot have the best prices and quality in the area so come by and see us today! Description:Used 2014 Dodge Charger SXT for sale - $18,900.00 with 76,437 miles. 2014 Dodge Charger SXT Discerning drivers will appreciate the 2014 Dodge Charger! It comes equipped with all the standard amenities for your driving enjoyment. This 4 door, 5 passenger sedan still has fewer than 70,000 miles! All of the premium features expected of a Dodge are offered, including: an automatic dimming rear-view mirror, tilt and telescoping steering wheel, and 1-touch window functionality. It features all-wheel drive versatility, an automatic transmission, and a refined 6 cylinder engine. You will have a pleasant shopping experience that is fun, informative, and never high pressured. Please don't hesitate to give us a call. RZ Motors Inc is founded on trust, integrity, and respect. We are proud to offer these values in our sale and business practices so our customers keep coming back. The vehicles on our lot have the best prices and quality in the area so come by and see us today! Description:Used 2007 Dodge Grand Caravan SXT for sale - $4,600.00 with 151,355 miles. 2007 Dodge Grand Caravan SXT Load your family into the 2007 Dodge Grand Caravan! You'll appreciate its safety and convenience features! 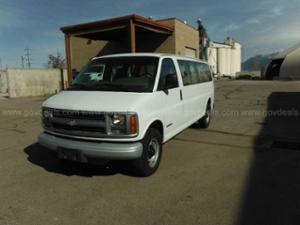 This 7 passenger van provides exceptional value! Top features include front fog lights, front and rear reading lights, a leather steering wheel, and remote keyless entry. It features an automatic transmission, front-wheel drive, and a refined 6 cylinder engine. We pride ourselves on providing excellent customer service. Please don't hesitate to give us a call. RZ Motors Inc is founded on trust, integrity, and respect. We are proud to offer these values in our sale and business practices so our customers keep coming back. The vehicles on our lot have the best prices and quality in the area so come by and see us today!